Nintendo has defined videogames. 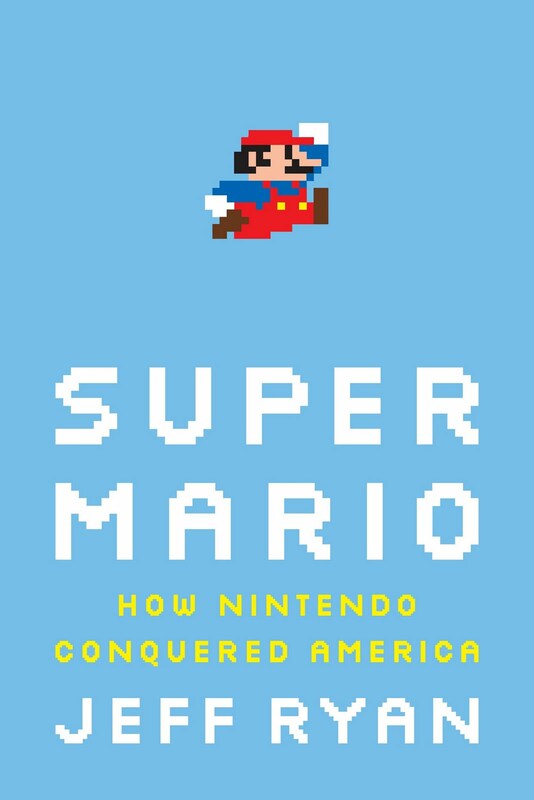 Since it first threw its glove into the ring of arcade games in the 80’s, the company has changed the way people view, build and play games and Jeff Ryan’s Super Mario: How Nintendo Conquered America chronicles their rise from card game manufacturer to ubiquitous icons of the industry. This book offers 280 pages of well-organized content that profiles the games, tech and personalities that set the standard for the medium. Covering everything from Nintendo’s days as a card game manufacturer to their successes with the Wii, Ryan introduces us to Hiroshi Yamauchi, the savvy entrepreneur who took his business into game cabinets, to his son-in-law Minoru Arakawa who put those machines in American arcades to Shigeru Miyamoto, the legendary game designer and Mario, his creation that he made the face of fun and quality. A lot of the information is well-known but Ryan does a great job including the more esoteric history that sweetens the read that much more. Seeing Nintendo fight against Atari and the crash of the 1983 to come out on top and their refusal to cave into bullying from Universal Pictures about copy-rights infringement for Donkey Kong is inspirational and exciting. Plus it was interesting to see where Kirby got his name. As the timeline progresses, Ryan does a great job of showing Miyamoto’s thoughts on game design and how they became nuanced as tech became better while remaining simple to approach and fun. To see that his design fit well within Nintendo’s philosophy of keeping their consoles inexpensive by using durable parts from old tech that didn’t run up their price tag. It was a joy meeting Gunpei Yokoi, their engineer behind much of those decisions who would created portable gaming with his Game & Watch toys and cement them with the Gameboy, and the magic he could make. But the relationships of these players remain the most fascinating part of the narrative. Seeing Yamauchi refuse to fully embrace Arakawa even after overcoming all obstacles is tragic. This book is as much about what Nintendo has been to this day as it is about their products. While the format and pacing of the book hits most of the important milestone titles, the little time that is spent on particular games makes them seem trivial, especially when set against Yamauchi, never having played any of them, whose only interest is in the money they can generate. This is purely subjective to the emotional ties that the reader has with the topic but is unfortunate. What’s more, with the quickly evolving nature of tech, the book ends on the Wii’s success and 3DS’s release, which, since it’s final draft, has taken a substantial reversal to affect Nintendo’s stocks, the end already seems slightly out of date, but is irrelevant to all the great work throughout. Special mention deserves to go to that cover. It’s simple layout, 8-bit inspired font and gloss is beautiful. And that Mario sprite, jumping over all the rest. Super Mario: How Nintendo Conquered America retails for $26.95 but you can find it cheaper on Amazon.